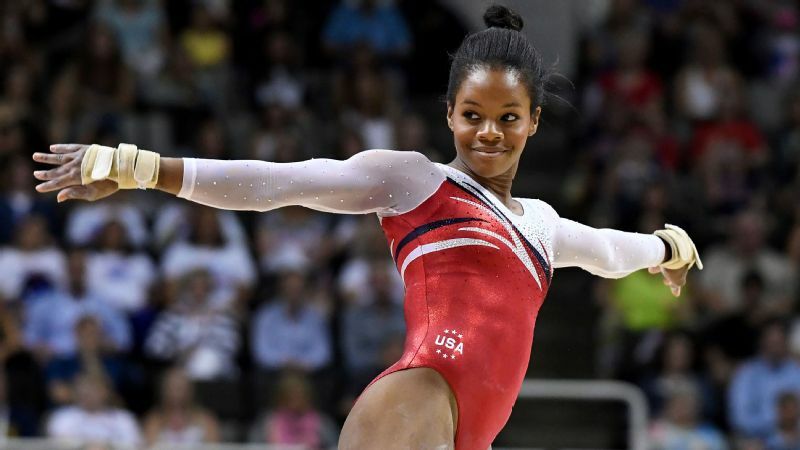 Gabby Douglas: "It all has to come from your heart, and you really have to love the sport and do it for yourself and not somebody else. You can't do it for the fortune or for the fame. You have to do it for you. Otherwise, it just doesn't work." 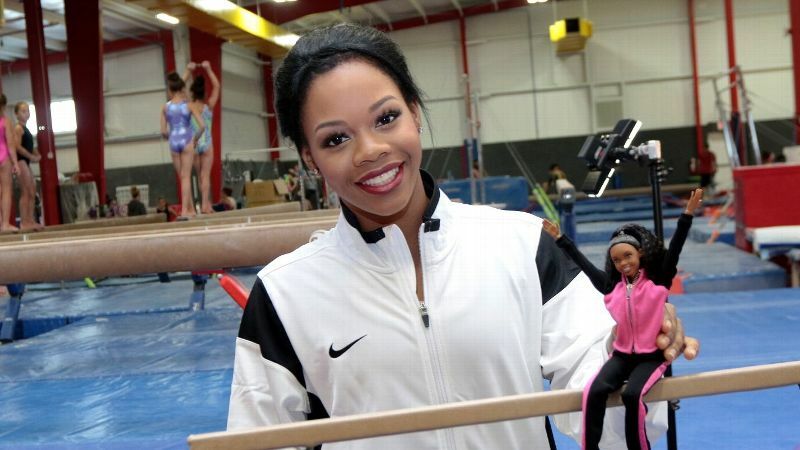 Gabby Douglas won the Olympic all-around title in 2012 as a 16-year-old, then took a two-year break from the sport after London to pursue endorsements and other opportunities. Now she's back -- with a reality TV show and a Barbie doll in her likeness -- and she's hoping for a chance to defend her all-around title at the Rio Olympics. But it won't be easy. 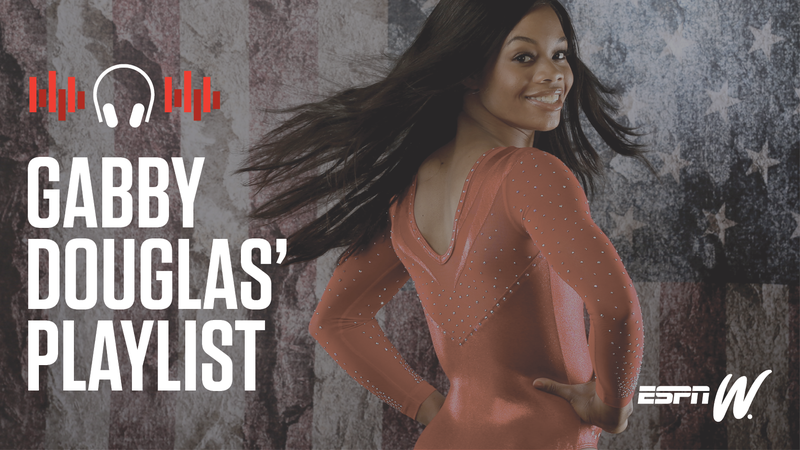 U.S. teammate Simone Biles is the hands-down favorite for all-around gold after winning the last three straight world all-around titles, and Douglas' path to the Olympic team was a tricky one, with inconsistent performances at U.S. nationals and Olympic trials. 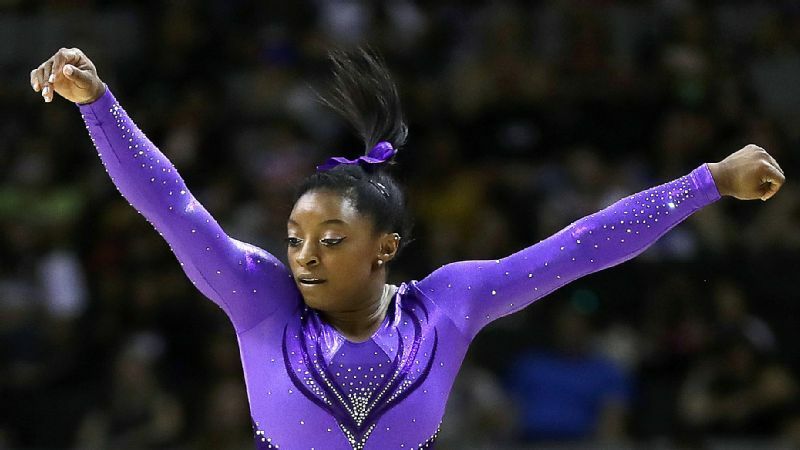 She'll have to make the U.S. team lineup on all four events in the qualifications on Sunday in order to have a chance to qualify into the all-around, and that's not a given. I'm a different gymnast than I was in 2012. Maturing over the years and the competitive experience I've had is going to help me in Rio. I know the process and what the journey is like. I'm just more confident, more bold and more aggressive going into routines and skills. I'm physically and mentally a little bit stronger this time than last time. This U.S. team is the team to beat. We are experienced, we know what to do and we are going for gold. Even Laurie Hernandez -- who's the youngest, and 16 like I was last time -- she's confident already. I'm like, "Girl, yes, you've got it. This is going to be so easy for you." I love pumping the younger girls up and filling them with energy because I used to be there when I was younger, looking for advice. 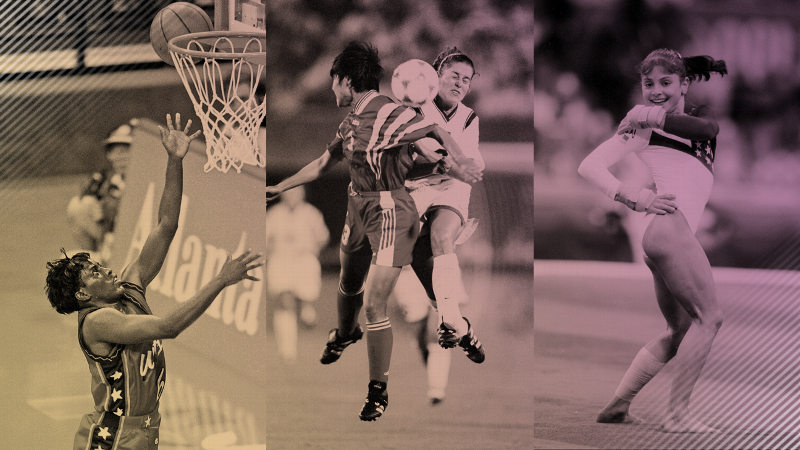 I got advice from everybody in the lead-up to 2012: my siblings, my moms, my coaches, my friends, other gymnasts. Alicia Sacramone and Dominique Dawes helped me along the way too. 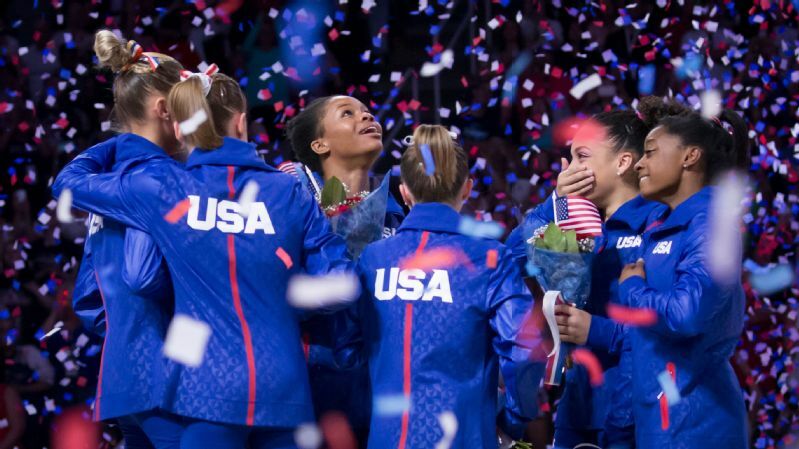 Older gymnasts would tell me to go out there and enjoy the moment. I was so bouncy, and I'd always go out of bounds, so they told me to calm down, take it one step at a time and don't let the pressure get to you. And, to have fun! Easier said than done. Gabby Douglas with Aly Raisman, at the 2012 Olympics during the team finals. 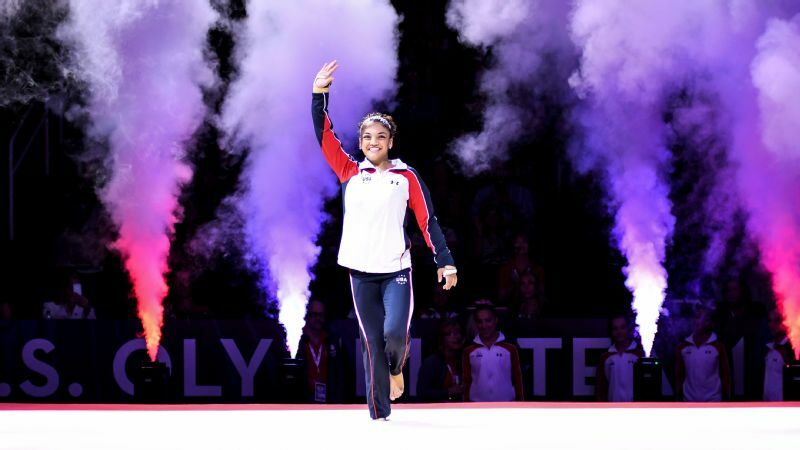 Both Raisman and Douglas will be on the five-member Rio Olympic team. Competing on beam in the 2012 team finals was the most nerve-wracking time of my life. I was so nervous. My beam had been inconsistent, and I wasn't supposed to be on beam for finals, but Martha Karolyi, the head coordinator of the U.S. gymnastics team, switched the lineup. She put me in instead of Jordyn Wieber because I had done really well in prelims. After bars though, I thought, "I don't know if I can do this. What if I fall? What if I cost USA the gold medal? Put Jordyn back in on beam!" But at that point, even if she wanted to, Martha couldn't because the lineup was already set, and you can't change it. So I looked to Aly Raisman and was like, "I can't do this. I don't know if I can." I was freaking out. She was like, "Gabby, be quiet. Just... no. You got it. You've been looking so good in training. You've got this." So she calmed me down, and then I started to believe again. I felt so good when I hit that beam routine. And it was a good thing I didn't fall because that would have been really bad! I was glad I could deliver. Needless to say, it's really special that Aly is on the team again with me. We shared a lot in London, and we're ready to do it all over again in Rio. There have been tough days this time around, definitely. But that's with anything. Experiences like that one from London have made this comeback much easier. Yes, I had some mistakes at Olympic trials. But my confidence is really good. It's so amazing that everyone believes in me. I feel like I have a lot of people in my camp. I felt the pressure more this time at Olympic trials than last time in 2012. I didn't expect that. But I have a plan going into Rio. I'm going to focus on how every turn counts and work on the mental game. I think physically I'm good, but mentally I needed some more preparation. I need to not let anything get to me and to fight for every skill. The wait for the Olympic team to be named was extremely hard -- it was five minutes, but it felt like an hour. It was very emotional for everybody. The suspeeeeeeense! And then, I just was so happy when I was named to the team. I don't look at all of this as pressure; I look at it as a great opportunity. My mind feels right, my body feels good and this is an amazing opportunity I have to compete at another Games. At least that's what I try to say to myself! When the doubt starts to get to me, I like to meditate on Scripture, and when I see my teammates, it also helps me realize sometimes that I need to get my game up. I can't let them see me struggling. Before I do a routine in a meet, I give myself a little pep talk. I say, "I can do this one, right now. I've done so many before." It's the scariest time right then, because there's no turning back! My goal is still to repeat as Olympic champion. I want to defend my title in the all-around. No U.S. gymnast has ever done it before. So I aim to do the impossible. When I look back at my comeback, I'm most proud of staying with it. Whatever happens in Rio, I already feel like this comeback has been a success. I went to another world championships after being out for two years, and came in second all-around. I got to do the American Cup earlier this year -- this competition that I always wanted to do since I was a little girl. I'm already feeling successful. To have more titles under my belt would just be icing on the cake.